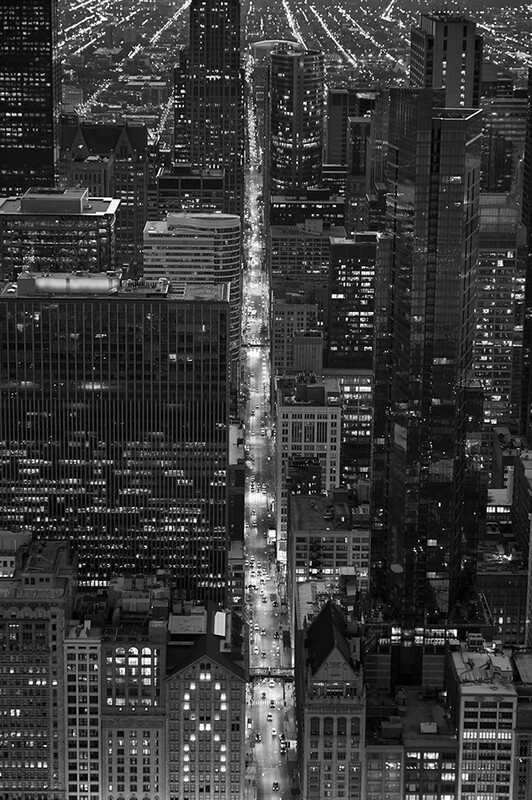 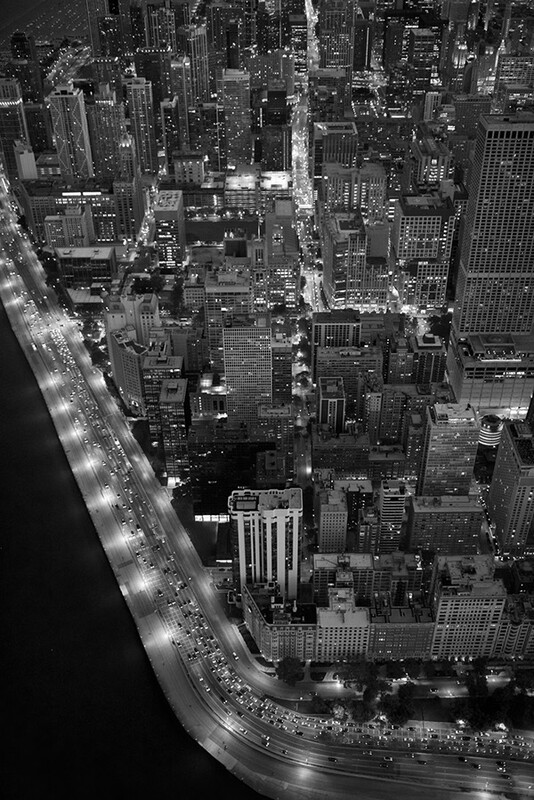 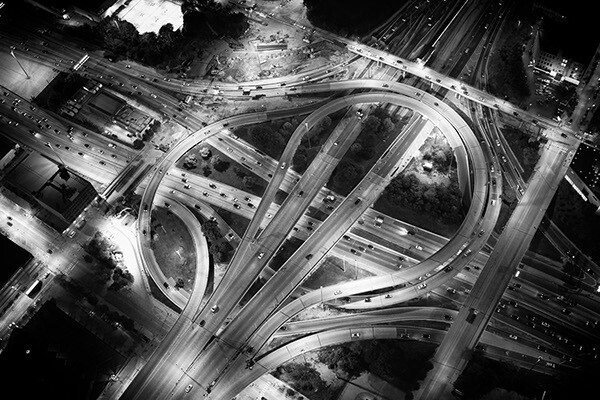 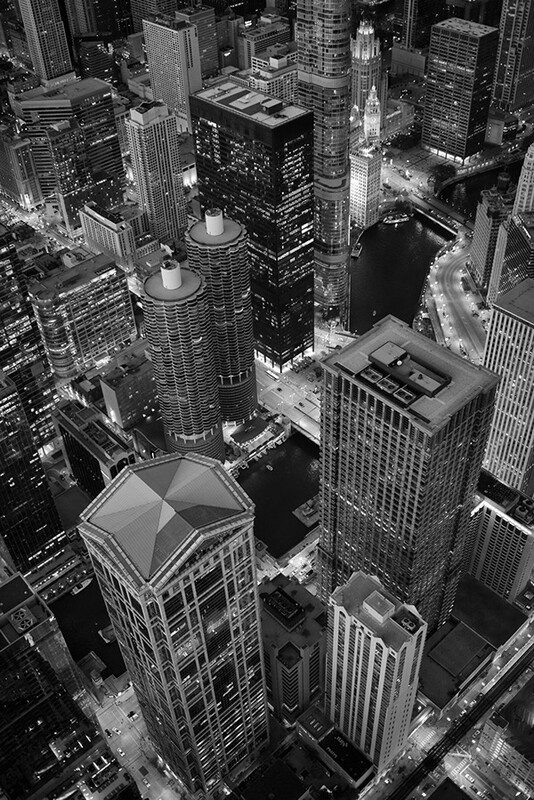 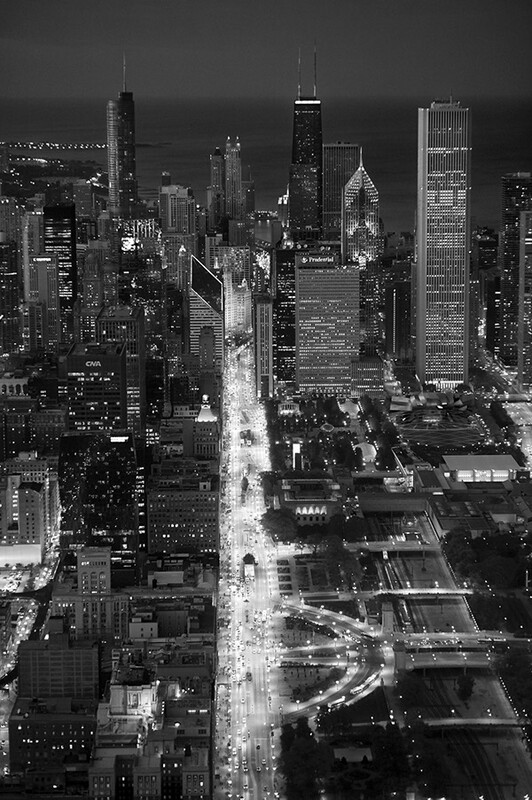 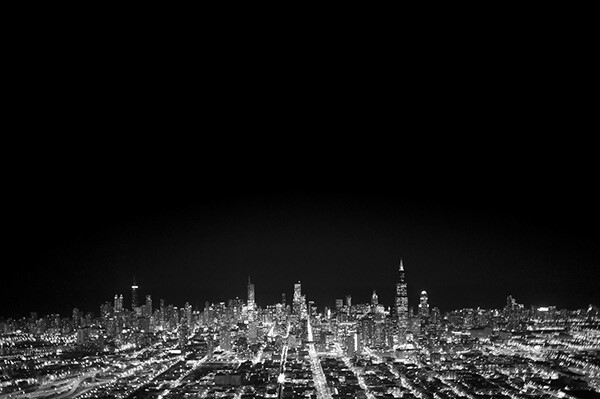 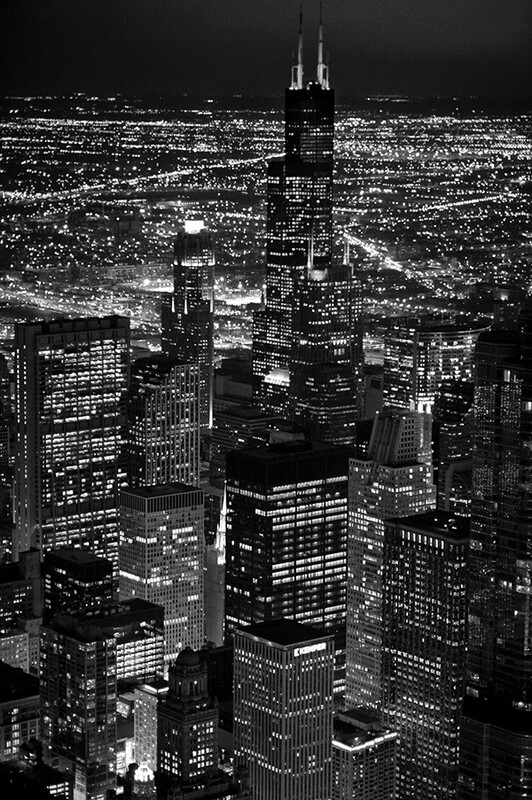 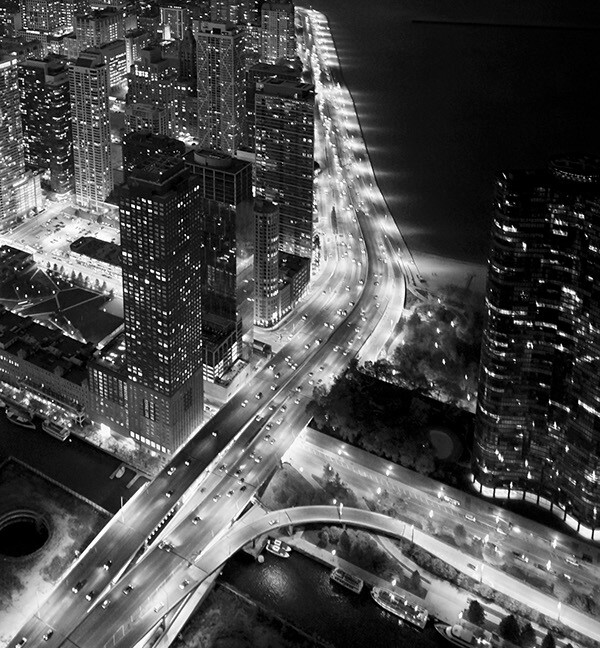 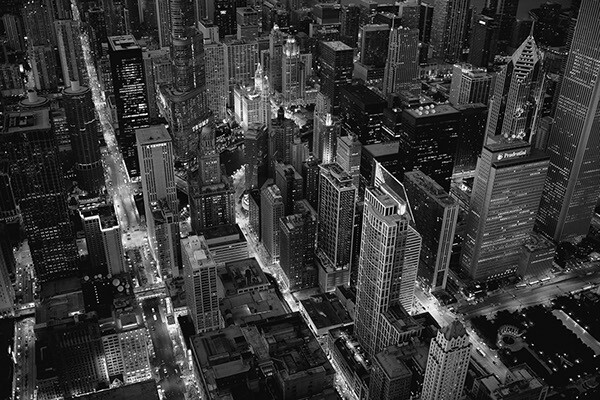 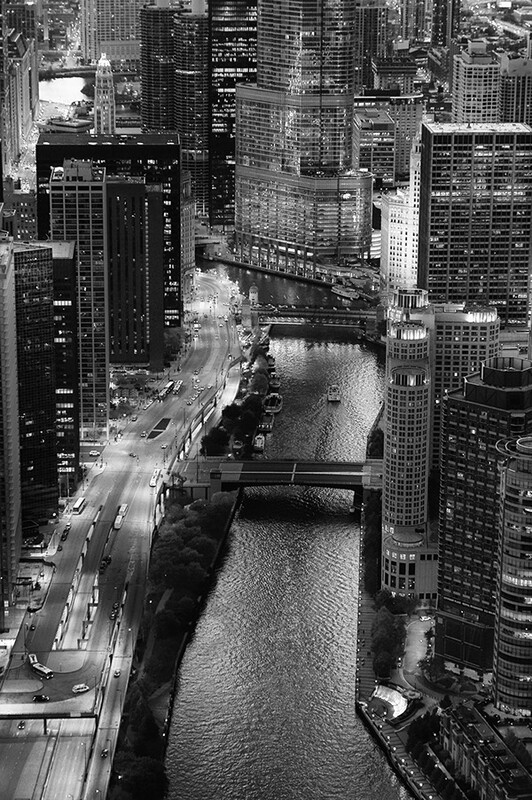 Chiacgo at night : third in a series of aerial landscapes in black and white of major cities. 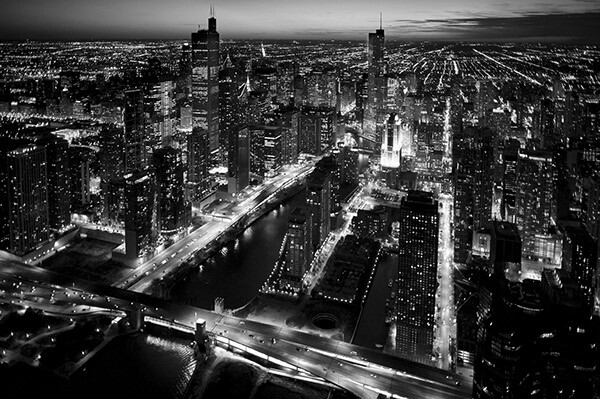 The first two cities in this series were New York and London. 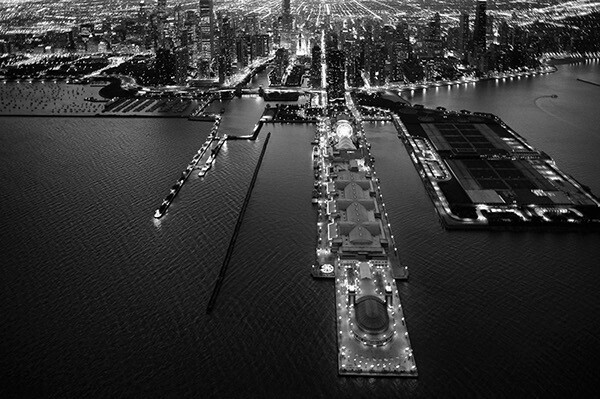 Shot from Schweitzer C300 and MD 500 helicopters. 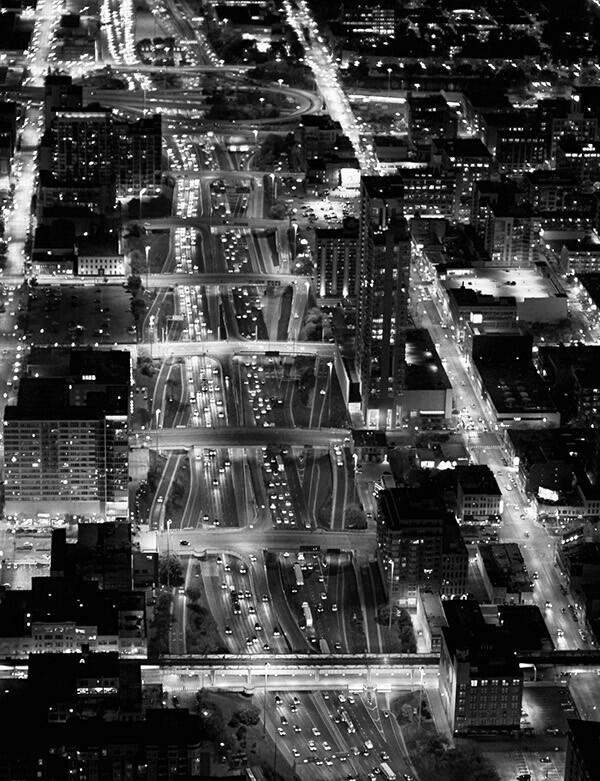 Third in a series of black and white aerial landscapes of major cities at night.